Directing My Energy: Lord of the Rings, Breaking Bad & S.
My life has a lot of moving parts suddenly. Between running a youth ministry, taking seminary classes, launching a book project and being a husband, there isn’t a lot of excess to commit to other things. You can tell me that it’s not difficult to watch an episode or two of Lost (or Breaking Bad) a few times a week, but I know the story doesn’t end there. It may only take up 40 minutes per episode, but I can’t measure my level of investment in the amount of time I commit to it. I have to measure it in energy. My good friend, Tim Ciccone, knows what I’m talking about. We worked together as youth pastors for three years in Kansas City. After every new Lost episode, we would spend way too much time the next morning discussing the possible alternate timelines and unanswered questions. Why isn’t Richard Alpert aging? Why is Kate’s number scratched off the cave wall? Do you think Jack will become the new Jacob? Where the heck has that lighthouse been the whole time? What if Walt hadn’t quit the show? Why does Daniel Faraday have to talk like that and why does Shannon have to talk at all? We would draw the timeline of the Island on the whiteboard with notches to signify major events: The Incident; Oceanic 815 crashes; Desmond finds his constant; Ben Linus arrives at the Island; the French team arrives. It was extensive, and all of our theories proved to be correct in the end. Our level of investment in that show could not be bound within a time limit. It went way beyond what can be measured. Our investment of energy was significant. I’m now 300 words into this post and I haven’t even told you the point of it yet. The point, folks, is that I think it’s valuable to be spending energy in interests outside of the “daily grind” of activities in your life. Why? For a variety of reasons. First, I think it’s important to be able to compartmentalize life into various modes of operation, and these sorts of things are exactly the way to do it. Turn off the frantic list-creating mind for a couple hours and allow it to soak in something creative and fresh. Something completely “other” to the rhythms and practices of life. Second, I think dabbling in interests outside of our daily “to-dos” refreshes us in new ways. While we may be giving significant energy to these activities, they end up giving us more energy in return. Our creative juices start flowing and our mind – having had some time away from our to-do list – is suddenly recharged with new energy to give to that list. The person I know who does this better than anyone else: my college roommate, Nick – who I should add, is the smartest person I know. Nick is a mechanical engineer and spends his life taking things apart and putting things together. Figuring things out. Discovering new ways of putting things together that haven’t been figured out before. Simply put: he’s brilliant. Uh. What? As if that’s a normal thing to just get back from doing. * – okay so this isn’t verbatim. I adjusted the words and added italics to prove my point. I mean, who does that?! The guy picks up different things here and there and directs significant energy toward them. And it, in turn, energizes the rest of his life. I’m not nearly as creative with my commitments – usually they’re in the form of entertainment: books, TV, music, and in the summer I play softball – but I have a few areas these days where I am committing a little spare energy as a way of both letting my mind refresh and sparking new creative energy. In short, these things have been life giving to me. I just finished the trilogy yesterday. It’s been sitting on my nightstand for almost two years waiting to be completed, but it kept getting set aside for other things. I read The Hobbit as a part of my book club – iUMBC* – a few years ago. And that sparked my interest for the first time really. * – which has been on hiatus for the past year while we all try to get our lives less busy and more conducive to monthly gatherings. hopefully we have a resurgence soon. Finally, I just made the decision that it was going to become a priority. And a couple months later I’ve finished it. And it lived up to the hype. Such awesome books, and really the source for tons of science fiction/fantasy books that would come later. Does Voldemort exist if Sauron doesn’t – or the entire Harry Potter series, for that matter? And here’s a question – which came first, Tolkien’s elves or Santa’s elves? And here’s a quetsion – which came first, Tolkien’s dwarves or Snow White’s dwarves? It’s amazing how influential this series has been and that I’ve spent my whole life unaware of its greatness. Also, who is your favorite character? I have a couple favorites, but I can’t decide who really takes the cake. Probably Gollum. The storyline is cool, and I’m suddenly catching myself wondering if random individuals are secretly manufacturing or distributing meth. The guy next to you on the bus. The clerk at the grocery store. The librarian. That eccentric professor you have. It offers a new perspective on reality, which I think is the mark of a great show. But I was expecting more. Don’t get all railed up yet – I’m only in the third season, so I’m sure that the entire story comes together in the end. In fact, that’s been one of the major comparisons I’ve heard from some of my friends: the point where Lost failed us all – the ending – is where Breaking Bad really comes through. So we’ll see. The jury is still out for me. But at minimum, it’s really enjoyable to watch. Favorite scene so far: Walter’s interactions with the dude locked up to the pole in the basement. It’s impossible to not love someone once you know they’re story. Have you guys heard about this book? It’s the coolest thing I’ve seen in a really long time and it’s unlike any book I’ve ever encountered. It’s hardly a book actually – or maybe I should say it’s way more than a book. 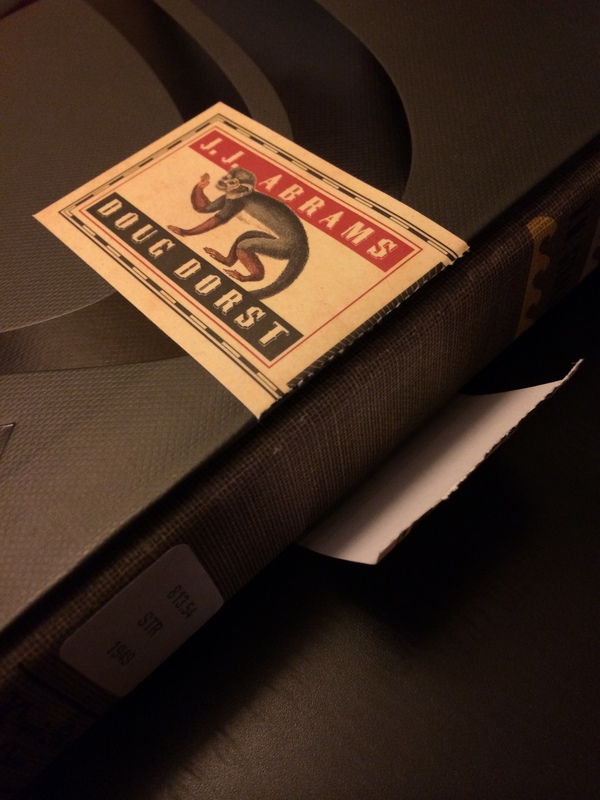 Conceived by J.J. Abrams and written by Doug Dorst, it’s actually like three different levels of narrative all wrapped into one larger experience. Imagine a library book on a college campus by a mysterious author with a dark, dangerous and secretive past. 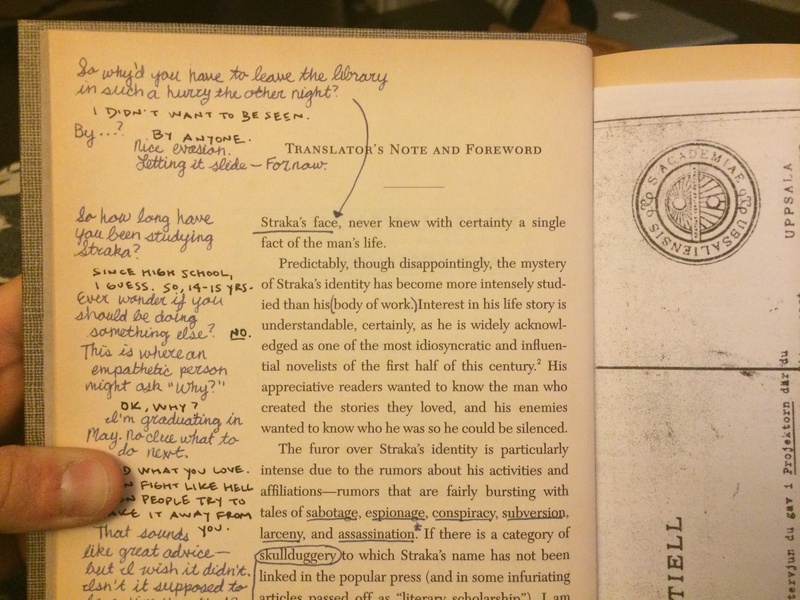 You pick it up and find there are notes in the margins. You start to respond to those notes in the same margins. You leave the book behind and pick it up a week later. Someone has responded to your notes and suddenly a correspondence begins between the two of you about the book, the author and his past. That’s what “S.” is like. Only it’s not just a story about this scenario written page by page – the whole book itself is that book the way you would find it in the library. There are notes in the margins, newspaper clippings and postcards shoved into the pages for one another to reference. It’s a book within a book. 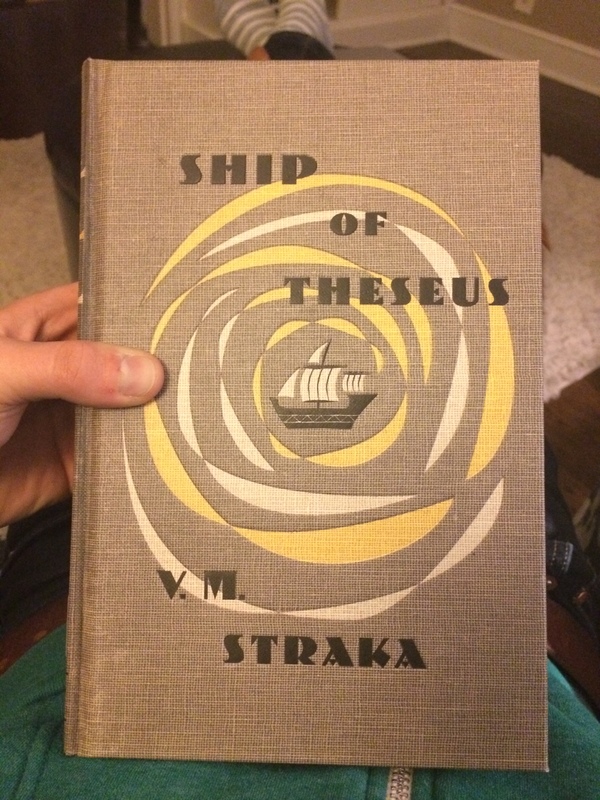 The library book is called “Ship of Theseus” by a fictional V.M. Straka. The two correspondents are named Jen and Eric and they’ve never met but are investigating the mystery surrounding Straka and the contents of all of his books on their own and talking about their findings in the margins. Like I said. 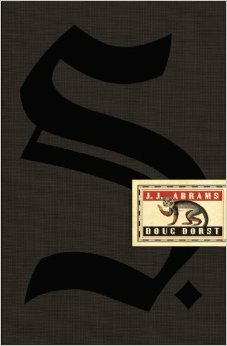 This book is unlike anything I’ve ever seen or read, and I’m not totally certain how to proceed. Do I just read the text from “Ship of Theseus” first? Or do I dabble in the margins as well? Do I blitz through the whole book ignoring the comments? Do I take them in as I go along? Regardless, this book will take two or three reads cover to cover before I’ve fully grasped what is actually happening on the various levels of this inception-like experience. So that’s where I’ve been placing my excess energy lately. Lord of the Rings, S.* and Breaking Bad. I recommend them all, and currently in that order. So far, they’ve all been worth my invested energy, but we’ll see what comes of the latter two as I move through them. I have high hopes. * – technically, the title is “S.” with a period after the S…so I had to refrain from ending that sentence with it because I didn’t know if I should end with two periods or just one.